​Office 365 and OneDrive for Business is available FREE for home use to UWSP Students, Faculty, and Staff! If you are a UWSP student, faculty or staff member, UWSP licenses Office 365 and OneDrive for Business free for home use at no cost to you! 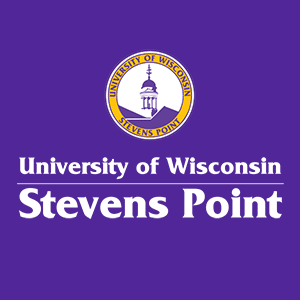 Access your UWSP Office 365 Online portal by logging into office.uwsp.edu. Review and edit files saved to your OneDrive for Business Cloud storage with the Office Online apps. Each UWSP faculty, staff and student has access to one Terabyte of file storage in their UWSP OneDrive for Business Cloud. Need the Office 365 Desktop apps installed on your personal computer? UWSP staff, students and faculty can install the Office 365 Desktop apps on up to five home computers! You can also install the Office 365 mobile apps and connect to the same OneDrive Cloud storage to access and work with files on up to five phones and/or tablets. Once you install Office 365 and OneDrive for Business on your personal computer you will see a "Sign in" at the upper-right when you open an app such as Excel or Word. Signing in authenticates you with your UWSP OneDrive Cloud making your cloud storage files available to all of your locally installed Office apps. Can I keep others who use my home computer from seeing my OneDrive for Business work files? The short answer is "It Depends." Do you share your home computer and a common logon with others in your household? Then yes, work files stored in your UWSP OneDrive for Business cloud storage will be available to others in your household once sign into your UWSP Office 365 for Business account. Do you have your own local user account on your home computer and others have their own local user accounts as well? Then no, when you open one of your newly installed Office 365 Desktop apps and sign into your UWSP Office 365 for Business account, your OneDrive for Business cloud storage files will be available only to your local account when you log into your home computer. You may wish to read the section above titled, "How do I keep others who use my computer from seeing my OneDrive for Business work files?" before opening and signing into an Office 365 Desktop app. Plan ahead! Installing the Office 365 Desktop Suite can potentially take 20-30 minutes or more to complete, depending on your download speed. Close all open applications. Your Office 365 Desktop installation will first uninstall any older versions. Open applications, even non-Office apps, also use system resources which can slow the installation process. Log into UWSP's Office 365 Online portal at office.uwsp.edu with your UWSP account. Use the format, username@uwsp.edu, for your username. At the right, click Install Office apps and select Office 2016 (this will install Office 365 - really!). Click Run at the bottom of the next screen. You will be asked to wait while Office 365 downloads and installs on your computer. If you are prompted to uninstall your current Office version, click Yes. When the install has completed, click Close. The Office 365 Desktop suite is now installed on your computer. You can now link your Office 365 Desktop apps to your UWSP Office 365 and OneDrive for Business online portal. To create this link, open one of the installed apps and click Sign in at the top right corner. Sign in with your UWSP account. Use the format, username@uwsp.edu, for your username. Click Yes and then Close to the boxes that open. How long can I continue to use my UWSP Office 365 subscription? The Microsoft Office 365 software subscription provided through UWSP ends when you graduate or are no longer employed by our university. Before leaving UWSP, make sure to copy important files to your personal cloud subscription service or back up storage device. Note: You can make other web parts into tabs by setting the "Chrome Type" property to "Title Only". Microsoft Office 365 - Desktop or Web App? Office 365 Desktop is the full version of Microsoft's Office Suite installed on all UWSP Standard Campus Load computers. Offic​e 365 Online is the web-based version of the core Office applications available to all UWSP students, faculty and staff by logging into their UWSP Office portal at office.uwsp.edu. The OneDrive for Business Cloud and OneDrive for Business sync client communicates between the two as Microsoft's file hosting and synchronization service. So how do Office 365 Desktop, Offic​e 365 Online and the OneDrive for Business Cloud and sync client work together? Files saved to your local computer's OneDrive – UWSP sync client are "synced" to your OneDrive for Business Cloud storage. While it may look like your sync client is where your files save, your OneDrive for Business Cloud is actually the central storage location for all OneDrive files. Your OneDrive for Business Cloud is the central storage location for all OneDrive files. Why? Because even though your OneDrive – UWSP sync client looks like another folder in your Windows File Explorer, it is special folder that works in conjunction with a desktop application that syncs files and edits to your OneDrive for Business Cloud. Your local OneDrive - UWSP sync client continually syncs new files and edits to your OneDrive for Business Cloud, your central storage location. Because your OneDrive for Business cloud is the central storage location for your files, you can make and see up-to-the-minute changes from anywhere and at anytime. 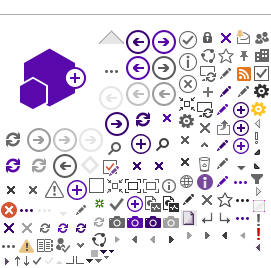 For example, you can edit a document in a web browser using Office 365 Online, then edit in the Office 365 mobile apps, or with different computer's Office 365 Desktop app. With your files in Microsoft's OneDrive for Business cloud storage, you can share files and collaborate, inviting multiple users to simultaneously edit documents while seeing others' edits as they are made. To use all of Microsoft's advanced features, edit files in the Office 365 desktop version. For lighter editing when you're on the go, last minute changes are easy with Office 365 Online and mobile apps. While some of the advanced features available in the Desktop apps may not be available in the lighter Online version, your files won't lose any functionality if you get a great idea and need to edit them on the go in Office 365 Online. Have questions? Check out our FAQs or contact the Service Desk!